Individually constructed, stitched, and tested at our manufacturing facility in Europe. 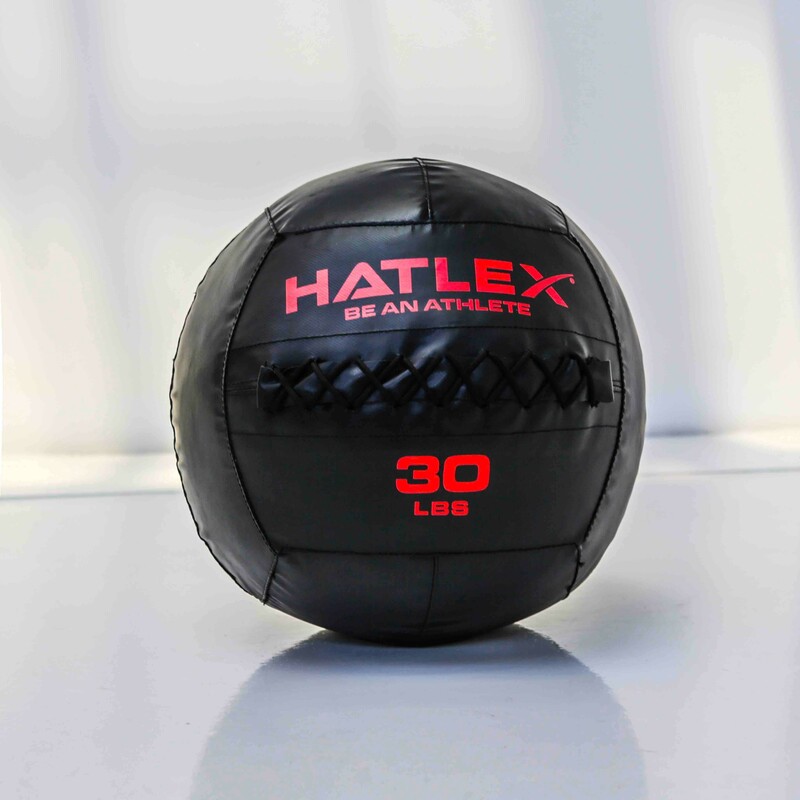 Hatlex Medicine Balls are made for high-speed, high-intensity training. Each 14” diameter ball features a flexible but durable nylon thread seam construction with a moisture and scuff resistant coated vinyl shell. The interior filling is substantial enough to help the ball keep its shape, but also forgiving enough for athletes to safely stop or catch the ball at high velocity. Hatlex Medicine Balls are sold individually and are available in a broad spectrum of weight from 14 LBS and 20 LBS. We started by making sure all seams are double stitched then added a top stitch to the heavy range of 14 thru 20LB variants. No matter your size or skill level, medicine ball training is one of the easier ways to improve your endurance, explosiveness, and core strength. Use them for anything from wall ball throws to traditional trunk twists, squats, sit-ups, presses, and more. Specifications: - Design in Italy - Diameter: 14” - Coated Vinyl Shell Superior PVC – moisture and scuff resistant - Soft Shell safe to use at high speeds, but strong enough to maintain stable shape - Double-stitched nylon threading on the seams of balls weighing 14LB or more - Weight Options: 4LB - 20LB - Color: Black Hatlex Medicine Balls come with a one Year Warranty from date of purchase. Warranty is voided if product is abused by repeated impact on a rough, aggregate surface or slamming the product on the ground from overhead.